Combatants are members of armed forces. The main feature of their status in international armed conflicts is that they have the right to directly participate in hostilities. If they fall into enemy hands, they become prisoners of war who may not be punished for having directly participated in hostilities. It is often considered that customary law allows a detaining power to deny its own nationals prisoner-of-war status, even if they fall into its hands as members of enemy armed forces. In any event, such persons may be punished under domestic law for their mere participation in hostilities against their own country. 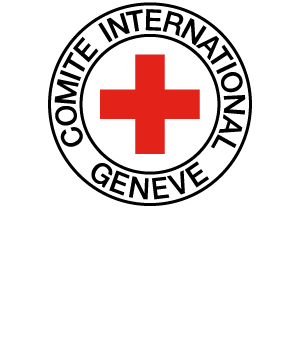 Combatants have an obligation to respect International Humanitarian Law (IHL), which includes distinguishing themselves from the civilian population. If they violate IHL they must be punished, but they do not lose their combatant status and, if captured by the enemy, remain entitled to prisoner-of-war status, except if they have violated their obligation to distinguish themselves. Persons who have lost combatant status or never had it, but nevertheless directly participate in hostilities, may be referred to as "unprivileged combatants" – because they do not have the combatant's privilege to commit acts of hostility – or as "unlawful combatants" – because their acts of hostility are not permitted by IHL. The status of such persons has given rise to controversy. Some argue that they must perforce be civilians. This argument is based on the letter of IHL treaties. In the conduct of hostilities, Art. 50(1) of Protocol I defines civilians as all those who are not "referred to in Article 4(A)(1), (2), (3) and (6) of the Third Convention and in Article 43 of this Protocol". Once they have fallen into enemy hands, Art. 4 of Convention IV defines as protected civilians all those who fulfil the nationality requirements and are not protected by Convention III. This would mean that any enemy who is not protected by Convention III falls under Convention IV. Those who oppose that view argue that a person who does not fulfil the requirements for combatant status is an "unlawful combatant" and belongs to a third category. Like "lawful combatants", it is claimed, such "unlawful combatants" may be attacked until they surrender or are otherwise hors de combat and may be detained without judicial decision. The logic of this argument is that those who do not comply with the conditions set for a status should not be privileged compared to those who do. Those who insist on the complementarity and exclusivity of combatant and civilian status reply that lawful combatants can be easily identified, based on objective criteria, which they will normally not deny (i.e. membership in the armed forces of a party to an international armed conflict), while the membership and past behaviour of unprivileged combatants and the future threat they represent can only be determined individually. As "civilians", unprivileged combatants may be attacked while they unlawfully directly participate in hostilities. If they fall into the power of the enemy, Convention IV does not bar their punishment for unlawful participation in hostilities. In addition, it permits administrative detention for imperative security reasons. From a teleological perspective, it is feared that the concept of "unlawful combatants", denied the protection of Convention IV, could constitute an easy escape category for detaining powers, as the Geneva Conventions contain no rule about the treatment of someone who is neither a combatant nor a civilian (see, however, P I, Art. 75). I. Who is a combatant ? as long as he/she is visible to the enemy while engaged in a military deployment preceding the launching of an attack in which he/she is to participate. GARRAWAY Charles H.B., ""Combatants" – Substance or Semantics? ", in SCHMITT Michael & PEJIC Jelena (eds), International Law and Armed Conflict: Exploring the Faultlines, Essays in Honour of Yoram Dinstein, M. Nijhoff, Leiden/Boston, 2007, pp. 317-335. LAPIDOTH Ruth, "Qui a droit au statut de prisonnier de guerre ? ", in RGDIP, Vol. 82/1, 1978, pp. 170-210. NAHLIK Stanislaw E., "L'extension du statut de combattant à la lumière du Protocole I de Genève de 1977", in Collected Courses, Vol. 164, 1979, pp. 171-249. SASSÒLI Marco, "La 'guerre contre le terrorisme', le droit international humanitaire et le statut de prisonnier de guerre", in CYIL, Vol. 39, 2001, pp. 211-252. ALDRICH George H., "Prospects for United Sates Ratification of Additional Protocol I to the 1949 Geneva Conventions", in AJIL, Vol. 85/1, 1991, pp. 1-20. DEL MAR Katherine, "The Requirement of "Belonging" under International Humanitarian Law", in EJIL, Vol. 21, No. 1, February 2010, pp. 105-124. MALLISON W. Thomas & MALLISON Sally V., "The Juridical Status of Irregular Combatant Under the International Humanitarian Law of Armed Conflict", in Case Western Reserve Journal of International Law, Vol. 9/1, 1977, pp. 38-78. STEPHENS Dale & LEWIS Angeline, "The Targeting of Contractors in Armed Conflict", in YIHL, Vol. 9, 2006, pp. 25-64. WATTS Sean, "Combatant Status and Computer Network Attack", in Virginia Journal of International Law, Vol. 50, No. 2, 2010, pp. 391-447. BAXTER Richard R., "So-Called 'Unprivileged Belligerency': Spies, Guerrillas and Saboteurs", in BYIL, Vol. 28, 1951, pp. 323-345. DINSTEIN Yoram, "Unlawful Combatancy", in IYHR, Vol. 32, 2002, pp. 247-270. MALLISON W. Thomas & MALLISON Sally V., "The Juridical Status of Irregular Combatant Under the International Humanitarian Law of Armed Conflict", in Case Western Reserve Journal of International Law, Vol. 9(1), 1977, pp. 38-78. MOORE Catherine, "The United States, International Humanitarian Law and the Prisoners at Guantánamo Bay", in The International Journal of Human Rights, Vol. 7/2, Summer 2003, pp. 3-27. SASSÒLI Marco, "The Status of Persons Held in Guantánamo Under International Humanitarian Law", in Journal of International Criminal Justice, Vol. 2/1, March 2004, pp. 96-106. TOMAN Jiri, "The Status of Al Qaeda/Taliban Detainees Under the Geneva Conventions", in IYHR, Vol. 32, 2002, pp. 271-304. VIERUCCI Luisa, "Prisoners of War or Protected Persons qua Unlawful Combatants? The Judicial Safeguards to which Guantánamo Bay Detainees are Entitled", in Journal of International Criminal Justice, Vol. 1, 2003, pp. 284-314. CHADWICK Elizabeth, "The Legal Position of Prisoners, Spies and Deserters during World War I", in RDMDG, Vol. 36/3-4, 1997, pp. 73-113. FERRELL William H., "No Shirt, No Shoes, No Status: Uniforms, Distinction and Special Operations in International Armed Conflict", in Military Law Review, Vol. 178, Winter 2003, pp. 94-140, online: http://www.fas.org/man/eprint/ferrell.pdf. LAFOUASSE Fabien, "L'espionnage en droit international", in AFDI, Vol. 47, 2001, pp. 63-136. MEYROWITZ Henri, "Le statut des saboteurs dans le droit de la guerre", in RDMDG, Vol. 5/1, 1966, pp. 121-174. DAVID Éric, Mercenaires et volontaires internationaux en droit des gens, Bruxelles, Éditions de l'Université de Bruxelles, 1978, 460 pp. FALLAH Katherine, "Corporate Actors: the Legal Status of Mercenaries in Armed Conflict", in IRRC, Vol. 88, No. 863, September 2006, pp. 599-611. GREEN Leslie C., "The Status of Mercenaries in International Law", in IYHR, Vol. 8, 1978, pp. 9-62. MILLIARD Todd S., "Overcoming Post-Colonial Myopia: A Call to Recognize and Regulate Private Military Companies", in Military Law Review, Vol. 176, 2003, pp. 1-95. SCHMITT Michael N., "War, International Law, and Sovereignty: Reevaluating the Rules of the Game in a New Century: Humanitarian Law and Direct Participation in Hostilities by Private Contractors or Civilian Employees", in Chicago Journal of International Law, Vol. 5, 2005, pp. 511-546. BOUMEDRA Tahar, "International Regulation of the Use of Mercenaries in Armed Conflicts", in RDMDG, Vol. 20/1-2, 1981, pp. 35-87. CASSESE Antonio, "Mercenaries: Lawful Combatants or War Criminals? ", in ZaöRV, Vol. 40, 1980, pp. 1-30. LIEBLICH Eliav, "The Status of Mercenaries in International Armed Conflict as a Case of Politicization of International Humanitarian Law", in Bucerius Law Journal, H. 3/2009, December 2009, pp. 115-123. LILLY Damian, "The Privatization of Peacekeeping: Prospects and Realities", in Disarmament Forum, Vol. 3, 2000, pp. 53-62. MACCORMACK Thimothy L.H., "The 'Sandline Affair': Papua New Guinea Resorts to Mercenarism to End the Bougainville Conflict", in YIHL, Vol. 1, 1998, pp. 292-300. NWOGUGU Edwin I., "Recent Developments in the Law Relating to Mercenaries", in RDMDG, Vol. 20/1-2, 1981, pp. 9-34. RAASVELDT Robert, "Accountability Problems for Private Military Companies", in Humanitäres Völkerrecht, Vol. 3, 2004, pp. 187-189. SCOVILLE Ryan M., "Toward an Accountability-Based Definition of "Mercenary"", in Georgetown Journal of International Law, Vol. 37, 2006, pp. 541-581. TAULBEE James Larry, "Mercenaries, Private Armies and Security Companies in Contemporary Policy", in International Politics, Vol. 37/4, 2000, pp. 433-456. BENBEKHTI Nabil, "Les actions entreprises à l'égard des ressortissants français détenus à Guantánamo Bay", in Actualité et Droit International, March 2004, http://www.ridi.org/adi. BORELLI Silvia, "The Treatment of Terrorist Suspects Captured Abroad: Human Rights and Humanitarian Law", in BIANCHI Andrea (ed. ), Enforcing International Law Norms against Terrorism, Oxford, Hart, 2004, pp. 39-61. DÖRMANN Knut, "The Legal Situation of 'Unlawful/Unprivileged Combatants'", in IRRC, No. 849, March 2003, pp. 45-74. HOFFMANN Michael H., "State Practice, the Customary Law of War and Terrorism: Adapting Old Rules to Meet New Threats", in IYHR, Vol. 34, 2004, pp. 231-249. KING Faiza Patel & SWAAK-GOLDMAN Olivia, "The Applicability of International Humanitarian Law to the 'War on Terrorism'", in Hague Yearbook of International Law, 2003, Vol. 15, 2002, pp. 39-49. KLABBERS Jan, "Rebel with a Cause? Terrorists and Humanitarian Law", in EJIL, Vol. 14/2, April 2003, pp. 299-312. LAVOYER Jean-Philippe, "International Humanitarian Law and Terrorism", in LIJNZAAD Liesbeth, VAN SAMBEEK Johanna & TAHZIB-LIE Bahia (eds), Making the Voice of Humanity Heard, Leiden/Boston, M. Nijhoff, 2004, pp. 255-270. MCDONALD Neil & SULLIVAN Scott, "Rational Interpretation in Irrational Times: The Third Geneva Convention and War on Terror", in Harvard International Law Journal, Vol. 44/1, 2003, pp. 301-316. MOFIDI Manooher & ECKERT Amy E., "'Unlawful Combatants' or 'Prisoners of War': the Law and Politics of Labels", in Cornell International Law Journal, Vol. 36, 2003, pp. 59-92. PETIT Françoise Camille, "Terrorisme et droit international humanitaire : quelles leçons tirer du statut controversé des prisonniers de Guantánamo ? ", in Droit et Défense, Vol. 3, 2002, pp. 25-32. RATNER Steven R., "Predator and Prey: Seizing and Killing Suspected Terrorists Abroad", in Journal of Political Philosophy, September 2007, Vol. 15, Issue 3, pp. 251-275. ROBERTS Adam, "The Laws of War in the War on Terror", in IYHR, Vol. 32, 2002, pp. 193-245. SAYAPIN Sergey, "The Application of the Fair Trial Guarantees to Alleged Terrorists in Non-International Armed Conflicts", in Humanitäres Völkerrecht, Vol. 3, 2004, pp. 152-159. SPEROTTO Federico, "Targeted Killings in response to Security Threats: Warfare and Humanitarian Issues", in Global Jurist, Vol. 8, Issue 3, 2008, pp. 1-32. WAXMAN Matthew C., "Detention as Targeting: Standards of Certainty and Detention of Suspected Terrorists", in Columbia Law Review, 2008, Vol. 108, pp. 1365-1430.
e) members of private military and security companies? II. Who is a prisoner of war? Cuba, Status of Captured "Guerrillas"
KASTENBERG Josh, "The Customary International Law of War and Combatant Status: Does the Current Executive Branch Policy Determination on Unlawful Combatant Status for Terrorists Run Afoul of International Law, or Is It Just Poor Public Relations? ", in Gonzaga Law Review, Vol. 39, 2003-2004, pp. 495-537. JINKS Derek, "The Declining Significance of POW Status", in Harvard International Law Journal, Vol. 45/2, Summer 2004, pp. 367-442. NAQVI Yasmin, "Doubtful Prisoner-of-War Status", in IRRC, No. 847, September 2002, pp. 571-596. NOONE Gregory P. et al., "Prisoners of War in the 21st Century: issues in Modern Warfare", in Naval Law Review, Vol. 50, 2004, pp. 1-69. WECKEL Philippe, "Le statut incertain des détenus sur la base américaine de Guantánamo", in RGDIP, Vol. 106/2, 2002, pp. 357-369. BOGAR Thomas J., "Unlawful Combatant or Innocent Civilian? A Call to Change the Current Means for Determining Status of Prisoners in the Global War on Terror", in Florida Journal of International Law, Vol. 21, No. 1, April 2009, pp. 29-91. CARVIN Stéphanie, "Caught in the Cold: International Humanitarian Law and Prisoners of War during the Cold War", in Journal of Conflict & Security Law, Vol. 11, No. 1, 2006, pp. 67-92. TSE Ka Ho, "The Relevancy of Nationality to the Right to Prisoner of War Status", in Chinese Journal of International Law, Vol. 8, No. 2, pp. 395-421. MURPHY Ray & EL ZEIDY Mohammed, "Prisoners of War: a Comparative Study of the Principles of International Humanitarian Law and the Islamic Law of War", in International Criminal Law Review, Vol. 9, No. 4, 2009, pp. 623-649. NAERT Frederik, "Detention in Peace Operations: the Legal Framework and Main Categories of Detainees", in Revue de droit militaire et de droit de la guerre, Vol. 1-2, No. 45, 2006, pp. 51-78. 2. The status of "unlawful combatants"
BORELLI Silvia, "Casting Light on the Legal Black Hole: International Law and Detentions Abroad in the 'War on Terror'", in IRRC, No. 857, March 2005, pp. 39-68. CRAWFORD Emily, The Treatment of Combatants and Insurgents under the Law of Armed Conflict, Oxford, OUP, 2010, 213 pp. CRYER Robert, "The Fine Art of Friendship: jus in bello in Afghanistan", in Journal of Conflict and Security Law, Vol. 7/1, 2002, pp. 37-83. LEVIE Howard S., "The Employment of Prisoners of War", in AJIL, Vol. 57/2, 1963, pp. 318-353. TURNS David, "The Treatment of Detainees and the "Global War on Terror": Selected Legal Issues", in IYHR, Vol. 38, 2008, pp. 145-167. DROEGE Cordula, "Transfer of Detainees: Legal Framework, Non-Refoulement and Contemporary Challenges", in IRRC, Vol. 90, No. 871, September 2008, pp. 669-701. GILLARD Emanuela-Chiara, "There's No Place Like Home: States' Obligations in Relation to Transfers of Persons", in IRRC, Vol. 90, No. 871, September 2008, pp. 703-750. LEVIE Howard S., "Legal Aspects of the Continued Detention of the Pakistani Prisoners of War by India", in AJIL, Vol. 67 (3), 1973, pp. 512-516. MEYER Michael A., "Liability of POWs for Offences Committed Prior to Capture – The Astiz Affair", in ICLQ, Vol. 32, 1983. Ministry of Foreign Affairs of Denmark, "The Copenhagen Process on the Handling of Detainees in International Military Operations", in Revue de droit militaire et de droit de la guerre, Vol. 3-4, No. 46, 2007, pp. 363-392. POCAR Fausto, "Violence on Civilians and Prisoners of War in the Jurisprudence of International Criminal Tribunals", in Anuário brasileiro de direito internacional = Brazilian Yearbook of International Law, Vol. 2, No. 4, 2009, pp. 11-30. PREUX Jean de, "L'homme de confiance des prisonniers de guerre", in IRRC, No. 414, 1953, pp. 449-475. RISIUS Gordon & MEYER Michael A., "The Protection of Prisoners of War against Insults and Public Curiosity", in IRRC, No. 295, October 1993, pp. 288-299. SADAT Leila Nadya, "International Legal Issues Surrounding the Mistreatment of Iraqi Detainees by American Forces", in ASIL Insight Newsletter, May-July 2004, online: http://www.asil.org/insights/insigh134.htm. WILHELM René-Jean, "Peut-on modifier le statut des prisonniers de guerre ? ", in IRRC, No. 415 & 417, July & September 1953, pp. 516-543 & 681-690. YIN Tung, Distinguishing Soldiers and Non-State Actors: Clarifying the Geneva Convention's Regulation of Interrogation of Captured Combatants through Positive Inducements, University of Iowa Legal Studies Research Paper, No. 08-42, September 2008, 55 pp. FARRELL Norman, "International Humanitarian Law and Fundamental Judicial Guarantees", in Annual Conference/The African Society of International and Comparative Law, Vol. 10, 1998, pp. 130-141. GASSER Hans-Peter, "Respect for Fundamental Judicial Guarantees in Time of Armed Conflict: the Part Played by ICRC Delegates", in IRRC, No. 287, March-April 1992, pp. 121-142. MEYER Michael A., "Liability of POWs for Offences Committed Prior to Capture – The Astiz Affair", in ICLQ, Vol. 32, 1983. SASSÒLI Marco, "La peine de mort en droit international humanitaire et dans l'action du Comité international de la Croix-Rouge", in Revue internationale de droit pénal, 58, 1987, pp. 583-592. WILSON Robert R., "Escaped Prisoners of War in Neutral Jurisdiction", in AJIL, Vol. 35, 1941, pp. 519-530. DJUROVIC Gradimir, The Central Tracing Agency of the International Committee of the Red Cross, Geneva, Henry-Dunant Institute, 1986, 259 pp. GC III, Art. 70 and Annex IV B.
LEVIE Howard S., "Prisoners of War and the Protecting Power", in AJIL, Vol. 55, 1961, pp. 374-397. WYLIE Neville, "Protecting Powers in a Changing World", in Politorbis, revue de politique étrangère, No. 40, 2006, pp. 6-14.
a) when do active hostilities end? OZERDEN Kemal, Le sort des militaires belligérants, victimes de la guerre, débarqués dans un port neutre, d'après la Convention de Genève, Paris, Pedone, 1971, 237 pp. STEINER M., Die Internierung von Armeeangehörigen kriegführender Mächte in neutralen Staaten, insbesondere in der Schweiz während des Weltkrieges 1939/45, Ernst Lang, Zurich, 1947, 103 pp. REICHEL Daniel, "L'internement et le rapatriement des militaires soviétiques réfugiés en Suisse pendant le Seconde Guerre Mondiale", in Actes du symposium 1982, Lausanne, Éditions du Centre d'Histoire, 1982, pp. 77-90. HOFFER Henri-P., "L'internement des malades et blessés dans les pays neutres", in IRRC, No. 2, 1919, pp. 159-171. FAVRE E., L'internement en Suisse des prisonniers de guerre, Geneva, Bâle, Lyon, Georg & Cie, Libraires-Editeurs, 1917-1919.